The Great Wall! 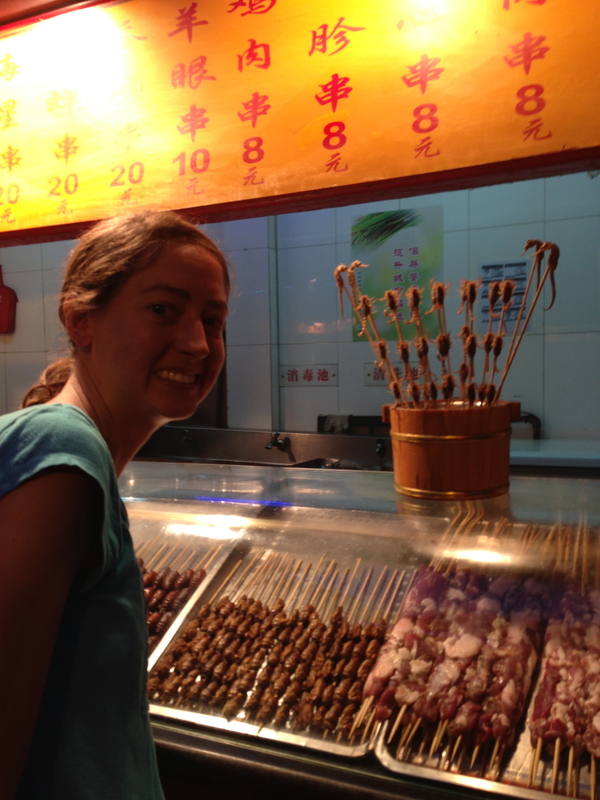 My favorite outing in Beijing. I was so happy to be in nature again. 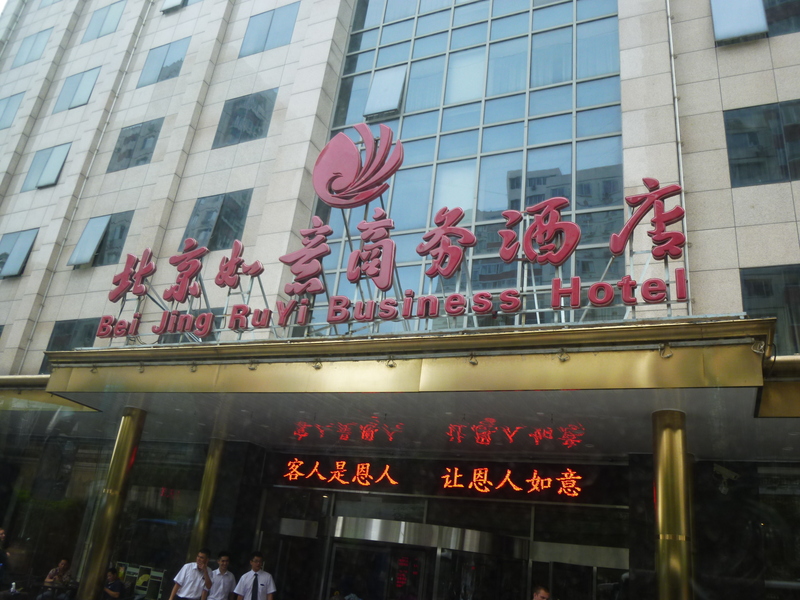 The hotel in Bejing I lived in, ate in, and took classes in for a month. My room was on the twelfth floor, and yes, I took the stairs almost every time. As I finally sit down to update my blog, I am speechless. There is so much to say I have nothing to say. A lot has happened. Five weeks have already flown by. 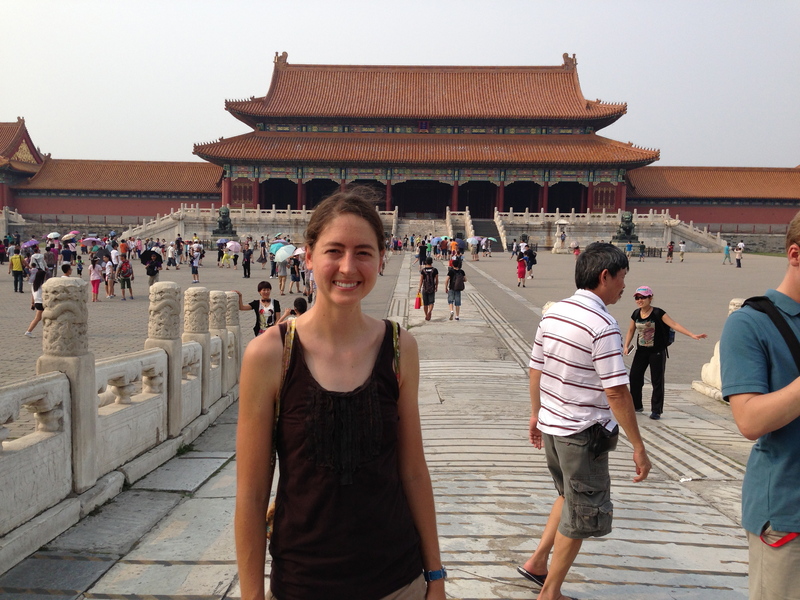 I’ve completed three weeks of TEFL training and lived in Beijing in a hotel for a month. 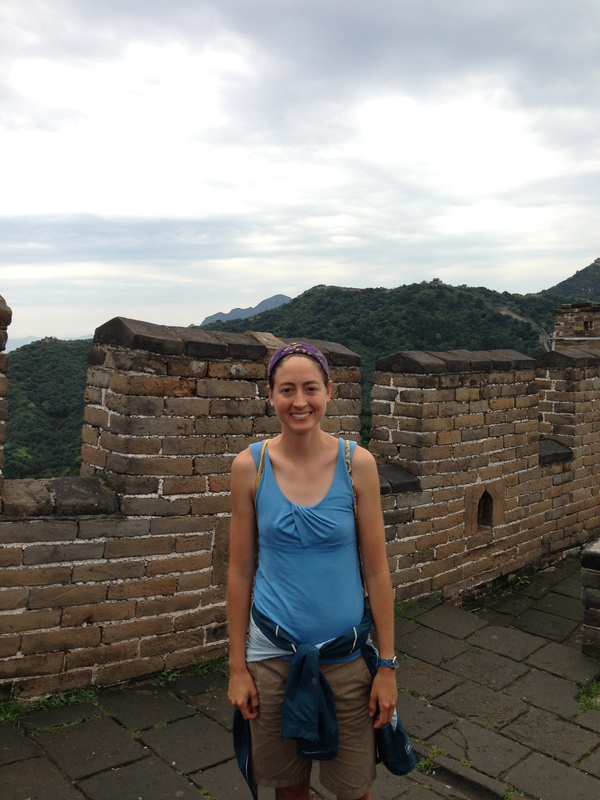 I have been to the Great Wall and the Forbidden City. I been across the globe and back again. I live in an apartment on the sixth floor with no elevator and two roommates. I am a first and second grade teacher and I live in China. It is a lot to process. Everything has happened so fast. I have been so busy. I have learned SOOO much. What should I share? What would you want to know most? I don’t think you can really understand unless you experience it yourself, but I can say, every new day puts a smile on my face. The unknown is exciting. I never know what the next day or even next hour will bring, but it is out of my control, so no worries! I feel so undeservingly blessed to be here, to have an awesome team with me, to be respected like a real teacher (I only have one week under my belt! ), to be accepted by the people around me even though I am an outsider. There are the occasional “bumps in the road”, but these are just more adventures I get to wrangle and add to the excitement. 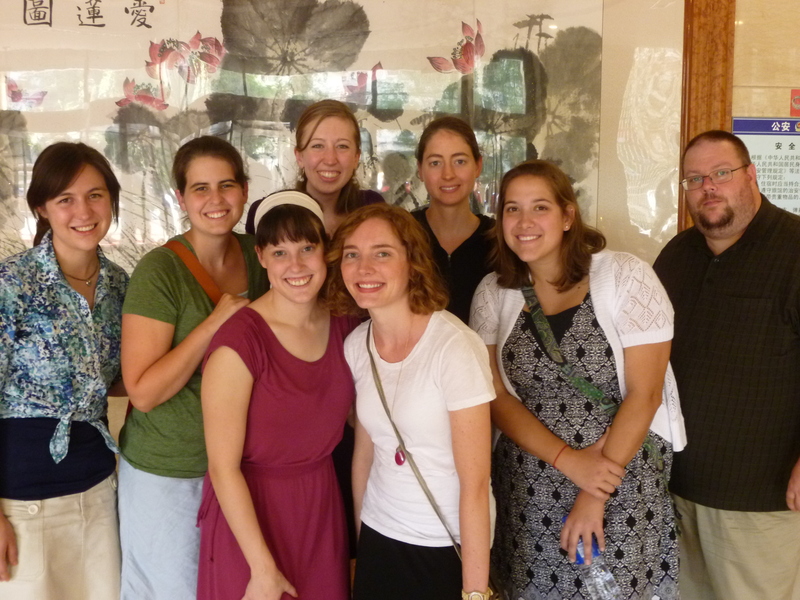 My team in Beijing: Anna, Hailey, Lindsay, Chesney, Katie, Me, Joy, and Dale. (Katie and Joy are teaching at a different school than us). China is vast and mysterious to me. There is so much I don’t understand (have you seen those Chinese characters?). The culture is so incredibly different, from crossing the street to using the toilet. But what strikes me the most is not the differences, but down at the root of it, to find the similarities. When surrounded by the unfamiliar, it is easy to extrapolate that across every aspect of China I come across, but humans are humans. We may not have the same fashion sense, eat the same foods, or have the same goals, but we all have the same desires for relationships and happiness and we all struggle with trials of some kind. The Chinese people are actually all that different from me, it just takes time to get past the outward contrasts. And time I have, a whole year of it! Chicago! My hotel was in downtown so I walked all over the place. 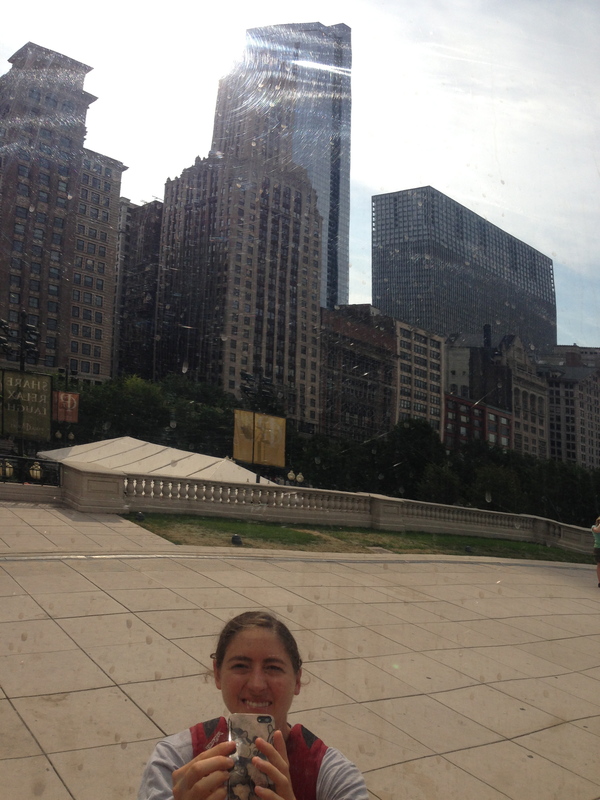 Of course I visited the Bean in Millennium Park. When I learn I have to fly to Chicago for four days to get my work visa after being in China for only three weeks, I smile because I get to eat authentic American food one more time. When a Chinese man teaches me how to use chopsticks because I just can’t seem to pick up that piece of broccoli, I smile because now I know how a Chinese holds his chopsticks. When the first graders in my class are running wild and I can’t get them under control because they don’t understand “be quiet” in English, I smile because now I have more incentive to study Chinese. When my toilet doesn’t flush, there is no hot water in the shower, the kitchen smells like rotten cabbage, and the gas stove breaks, I smile because when that much has gone wrong I can’t do much else. China, if this is what five weeks can bring, I can’t even imagine a whole year. I am so excited to be Happy Everyday. Definitely sound like a great experience. A life time opportunity. Enjoy it and stay positive..which you have with such a great attitude. Can’t wait to hear more of your story.